I’ve been doing photography tours in Budapest for 3 years now, and people on my tours often ask the very same questions. So it makes sense to answer them all, in one article. 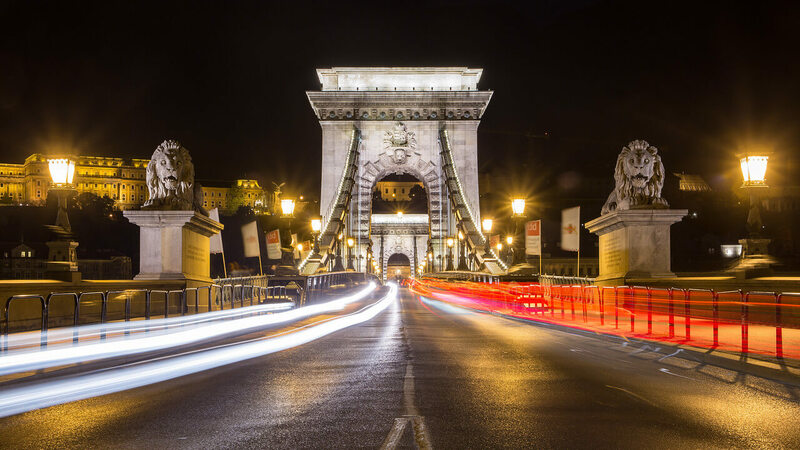 Here are your most frequently asked questions answered about taking photos in Budapest, Hungary. 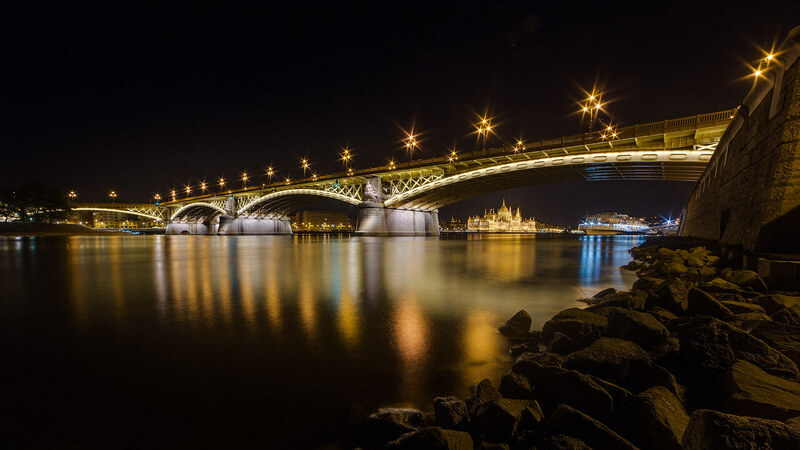 If you’d to explore Budapest at night, and learn how take pro photos at night with your own camera, then I recommend you book a private photo tour with me. (186 people already gave 5 star reviews on Tripadvisor). Where is the Budapest sign? 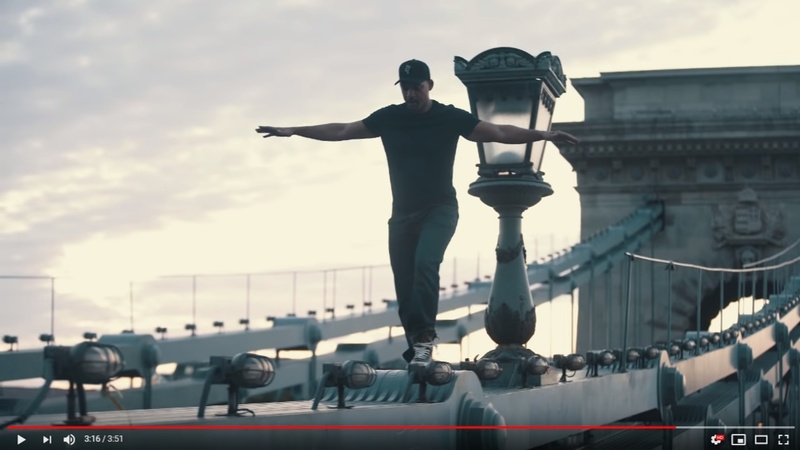 Where to take good sunset photos in Budapest? 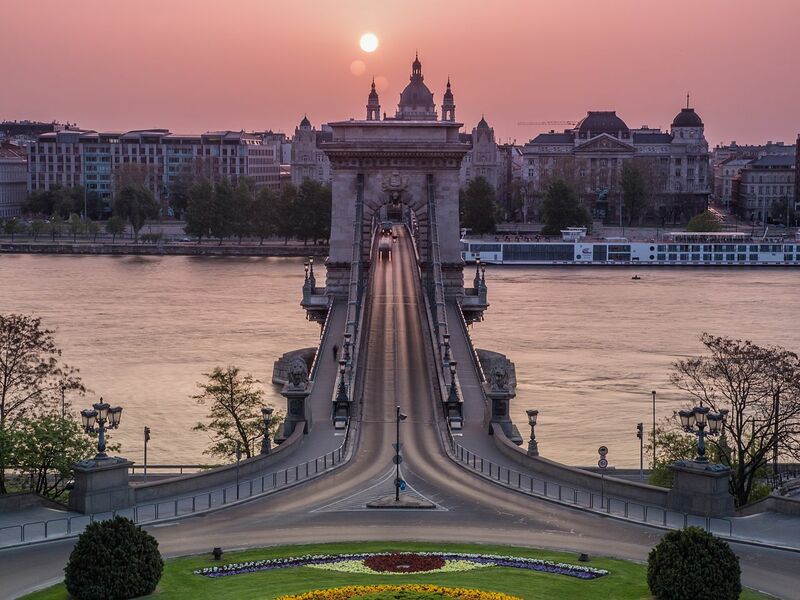 Where is the best place to photograph the sunrise in Budapest? What time are the citylights turned ON / OFF? Are all the bridges lit up? What time is the city less crowded? 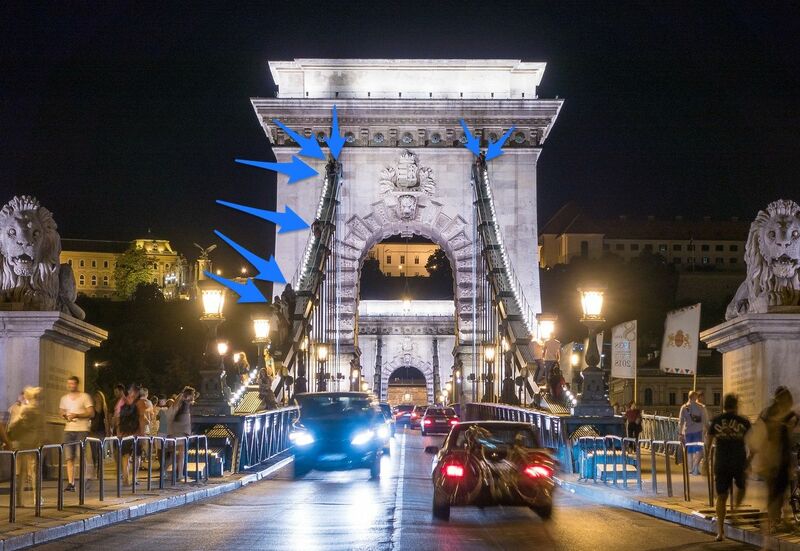 What are the best vantage points in Budapest? 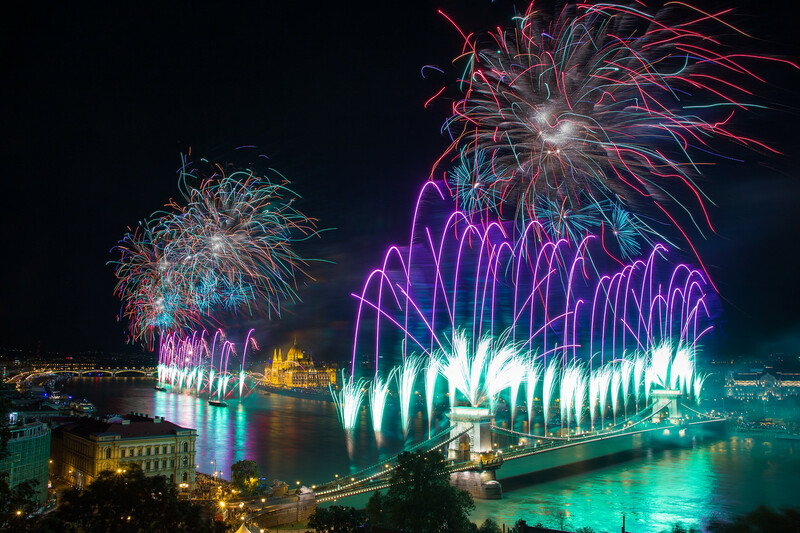 When is the big fireworks in Budapest? Can I climb up on the Chain Bridge, just like Will Smith? Can I take my camera into the thermal spas, is it allowed to take photos there? 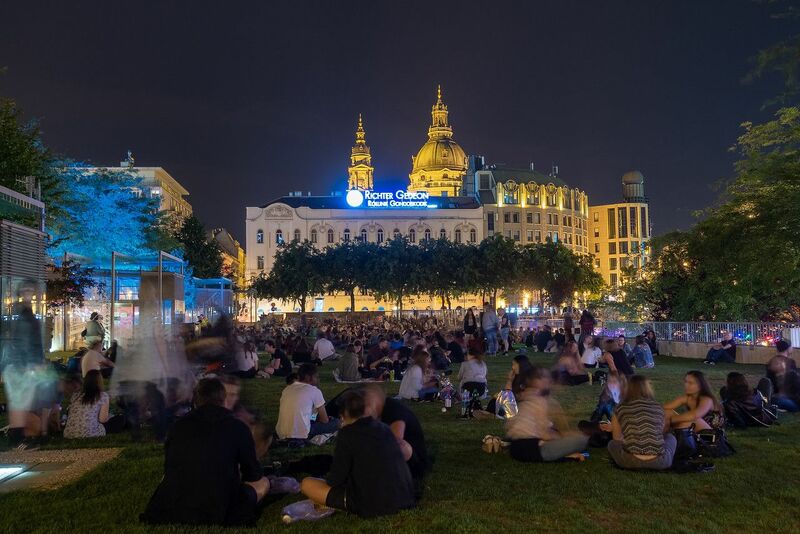 Is Budapest safe at night? 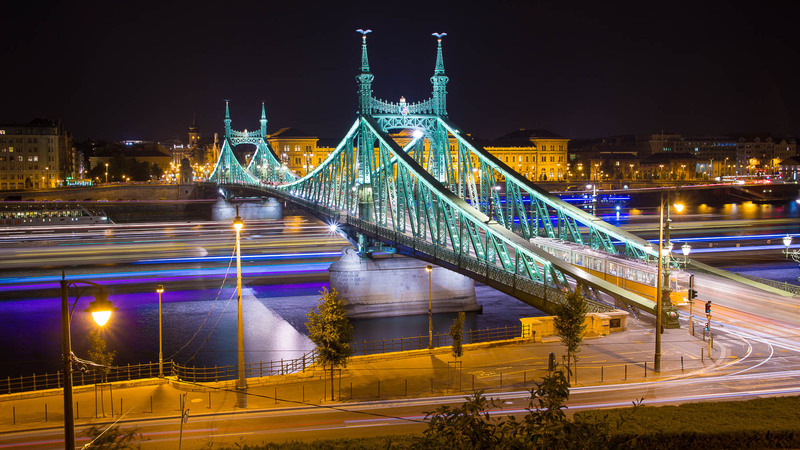 Do you have any questions regarding photography in Budapest? This was one of the tourist magnets – instagram photo spots in Budapest. Everyone loved it obviously, but it was built away in 2015. Don’t ask me why, everyone’s missing it. And since then, this particular one did not return anywhere in the city. 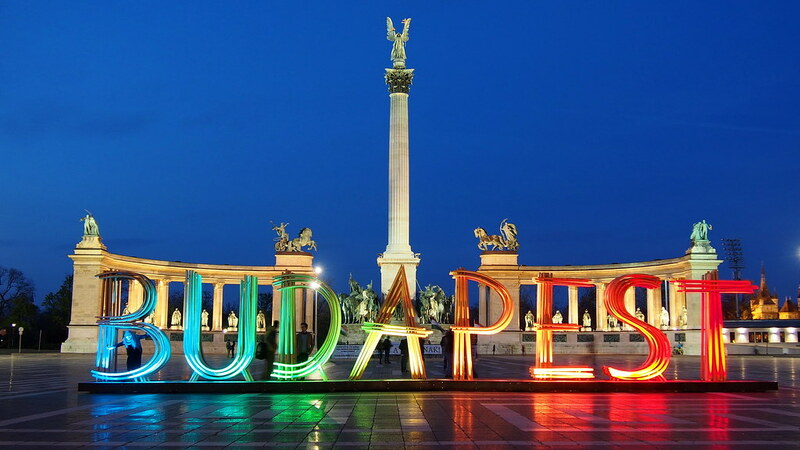 So currently, in January 2019, there’s no Budapest sign like that in the city. I will regularly update this part of the article, and let you know if the sign pops up anywhere. 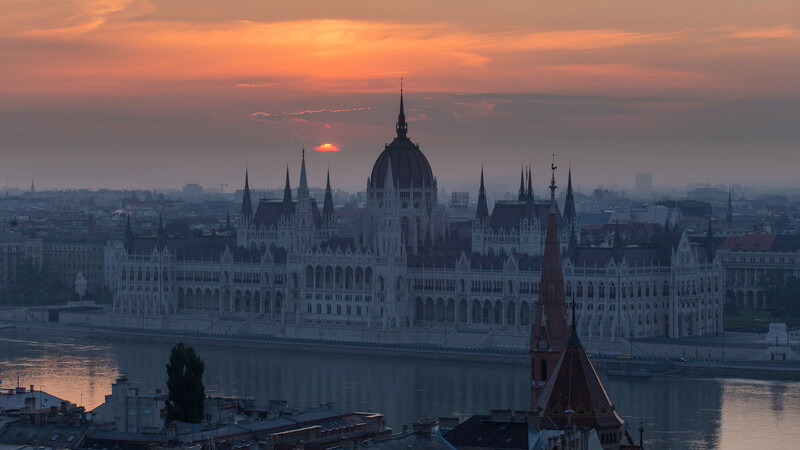 When people book me for a photo tour, they often tell me they want to shoot the sunset in Budapest. So there are hills on the Buda side, starting from almost the waterfront of the Danube. Of course, there are some compositions, where you can compose the orange sky well together with highlights of Buda, but you have to be lucky to have an orange-cloudy sunset. Because of the geography of Budapest, photographing the city at sunrise is much more rewarding from a photographers point of view. From those terraces where you have a clear view of the Liberty Bridge, you can also perfectly see the sunrise, too! There are many viewpoints facing east in the Castle, from where you can align the upcoming Sun with one of the highlights. This spot is really easy to find! First, go to Batthyány square metro and tram station. When you’re there, go down the small stairs to the riverbank, and just walk up 100 meters up north to get perfectly aligned with the center line of Parliament. It may happen that a Scenic river cruise ship is docking there, blocking just the right spot. The Chain Bridge and the Parliament on the right, as seen from Citadel. Taken on a September night, 37 minutes after sunset. This is the Blue Hour, the best time for night photos. The lights go up according to the overall brightness / darkness level. This means the lights are turned on around 5-20 minutes after sunset. 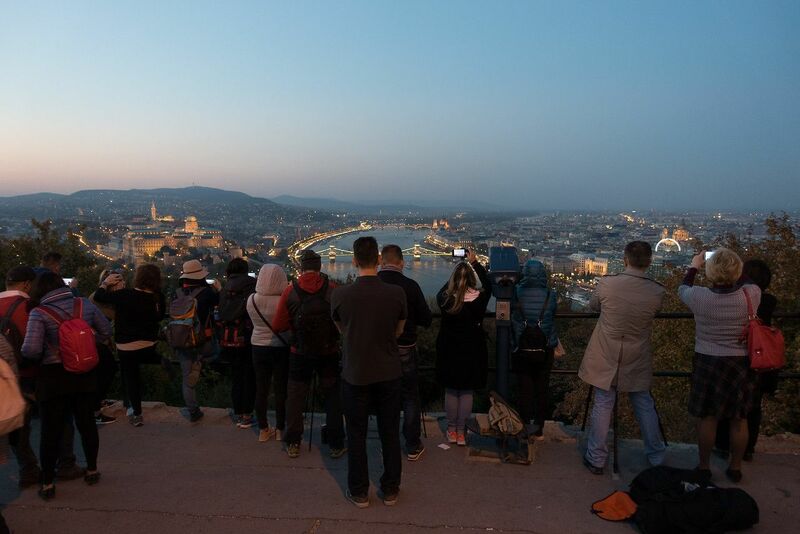 Here’s a site that tells you exactly when the sunset is in Budapest at various times of the year. And it also tells you when the Blue Hour is. Of course these lights don’t remain up all night: they are turned off at midnight, or 1AM in daylight saving time. So after midnight, the bridges and buildings are not lit up, only the street lights remain. 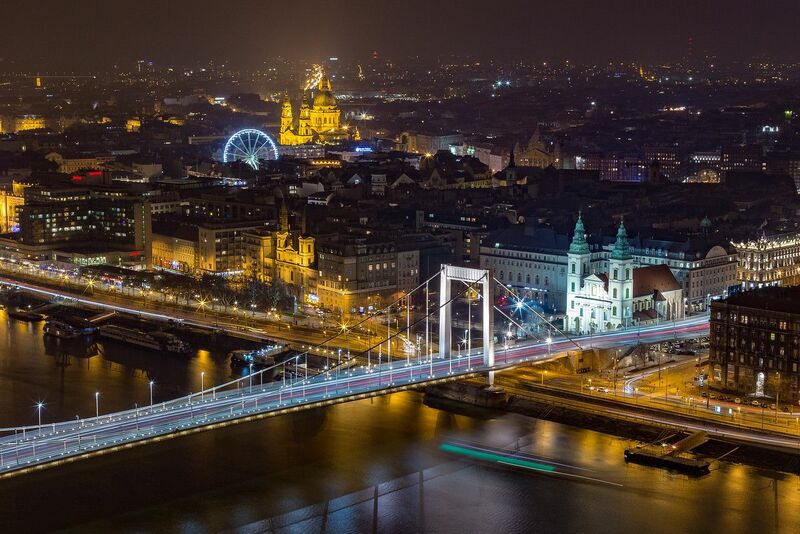 Yes, that’s the best part: all the bridges of Budapest are lit up! 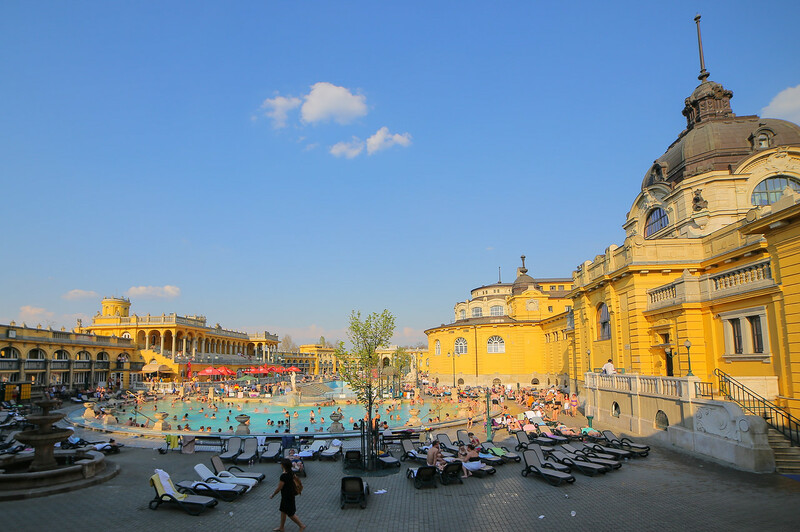 According to my experience, these are the most crowded places in Budapest. 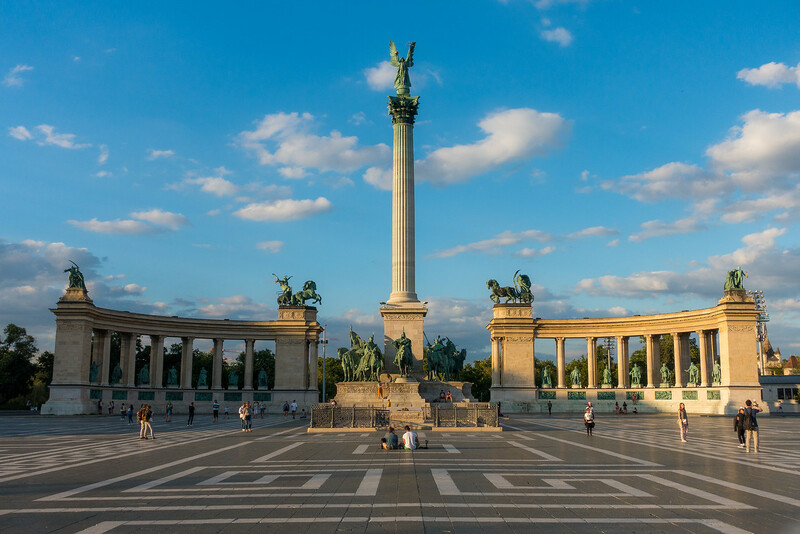 The Fishermens Bastion is one of the most known, iconic sites of Budapest. Therefore it’s on the must-see-list for every tourist. And because it is a relatively small area, constrained by its walls, the crowd seems even larger. Recommended time to visit: after 7 PM (or sunset), or before 7 AM. It is fully lit up at night. Heroes Square is definitely the second most crowded places in the city. But at least it really is a big square, so the crowd doesn’t feel as bad as in the Castle. 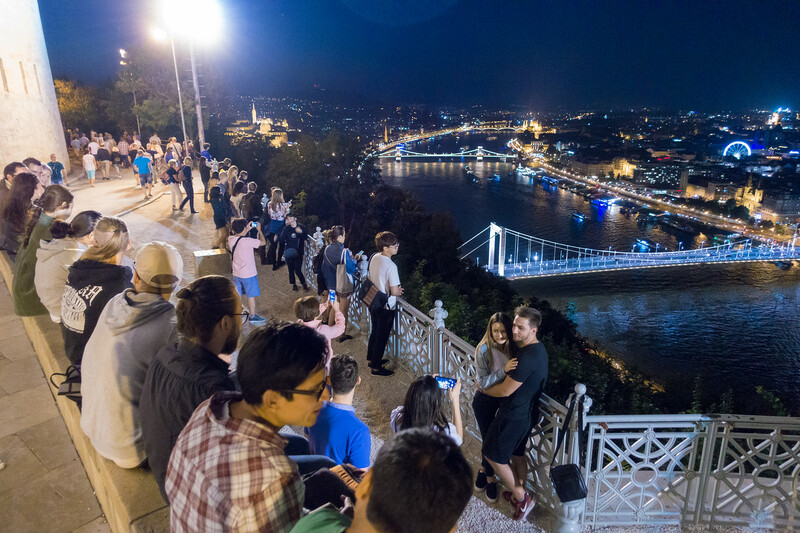 At Citadel, everybody wants to get to the very edge, so they can have undisturbed view of Budapest. This is the place where waiting is definitely worth it! This is a spot I always include in my night photo tours. Although it’s a relatively big area, because everybody wants to stand next to fence to be able to see the beautiful view (as above). So this means it can get quite crowded here, as space is physically limited. The number of people changes quite much with seasons and with weekends, and of course, the weather. On a weekend with good weather in the summer, expect a lot of people. Same in December, before Christmas. This part is always crowded, but usually you’ll not have to wait more than a few minutes to grab a spot right next to the edge. 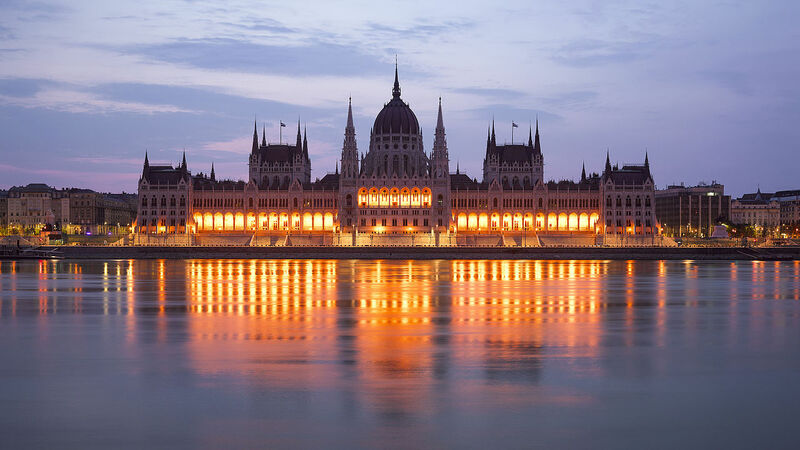 I highly recommend you read my article about the best photo locations of Budapest: the spots I describe there are mostly vantage points. Fireworks on St Stephens Day in Budapest. 10 seconds exposure, f/16, ISO 100. Taken from in front of Royal Palace. Every year it’s on St Stephen’s Day, 20th August. The fireworks always starts at 9PM sharp. Usually they are shot from the Chain Bridge and from boats on the river between Margaret and Chain Bridge. Be prepared for extreme crowds, and that the Chain Bridge is fully closed off, while on the other bridges it’s crazy crowded. On this night, it’s best to walk or use the metro / tram system. No, you can’t do that anymore, thank God. Luckily the city council installed anti-Will Smith-wannabe fences on every side, so now you just can’t go on top. This means that you can feel safe all the time. In Hungary no one car wear guns, except police and armed forces. Not even security guards, they can’t have guns either. 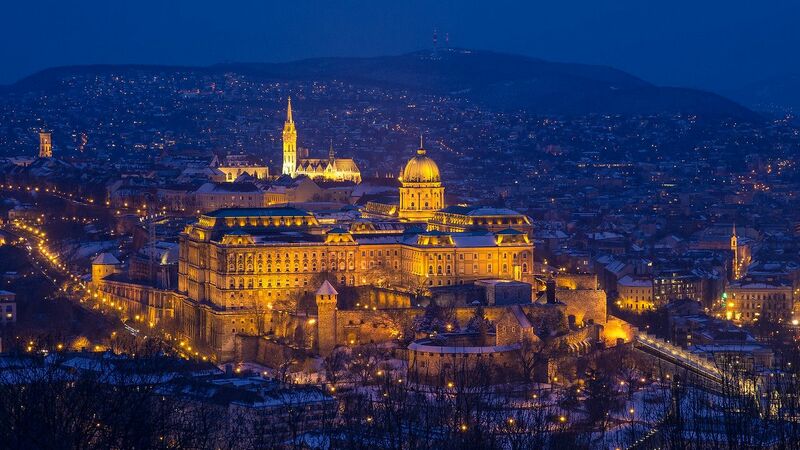 I often walk at night in parks on the Buda side, and luckily I’ve never had any bad experiences. Of course, as other big cities around the world, there are some parts where I wouldn’t go at night. Your life will not be danger if you go to these places, it’s just there’s a higher chance of seeing some people behaving in verbally aggressive way. 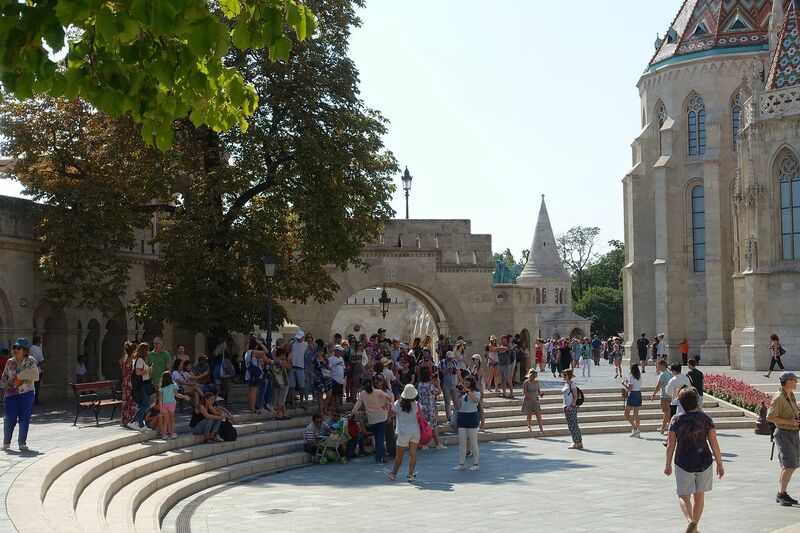 So the good news is that the touristy part – the downtown Pest and the Buda side – is very safe. Even for single female travelers. 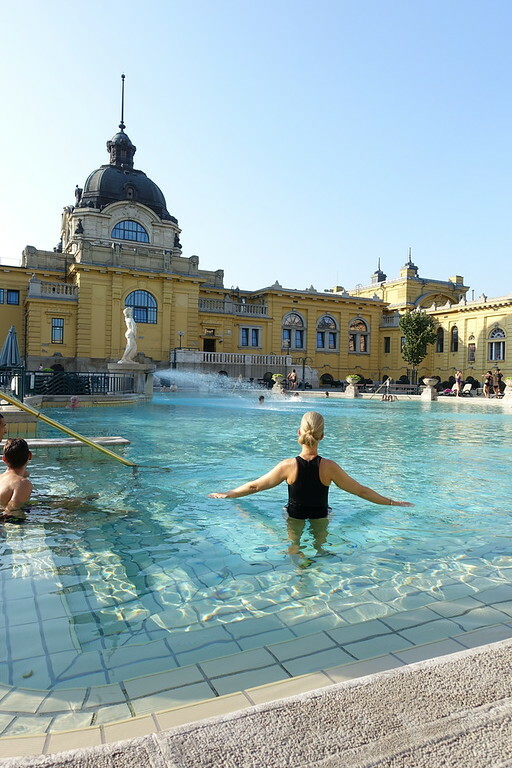 With everybody I met they all told the same thing: they “always felt safe in Budapest“. It’s very easy to spot them: here’s my detailed article on this. 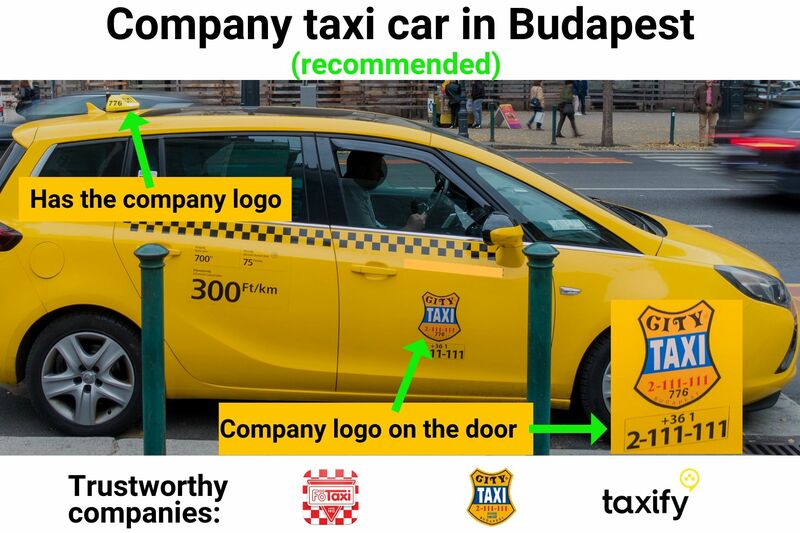 Note: there’s no Uber in Budapest since summer of 2016. Please ask it in the comments, I’ll answer it! Welcome! 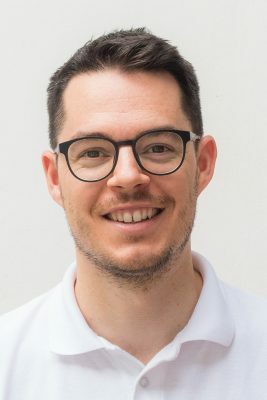 I'm Miklós Mayer, a photo tour guide in Hungary. My job is to show fellow photographers around in my home city Budapest and teach them everything I know about photography. 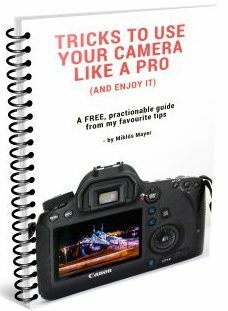 PLUS you'll also get a super practionable PDF guide to camera tricks that save a ton of time: "Tricks to use your camera like a PRO (and enjoy it)". In this guide I've collected my favourite small tricks that are so easy and work with every camera. Yet, many photographers don't know about them! Even for pros I can always show at least one new trick according to this. 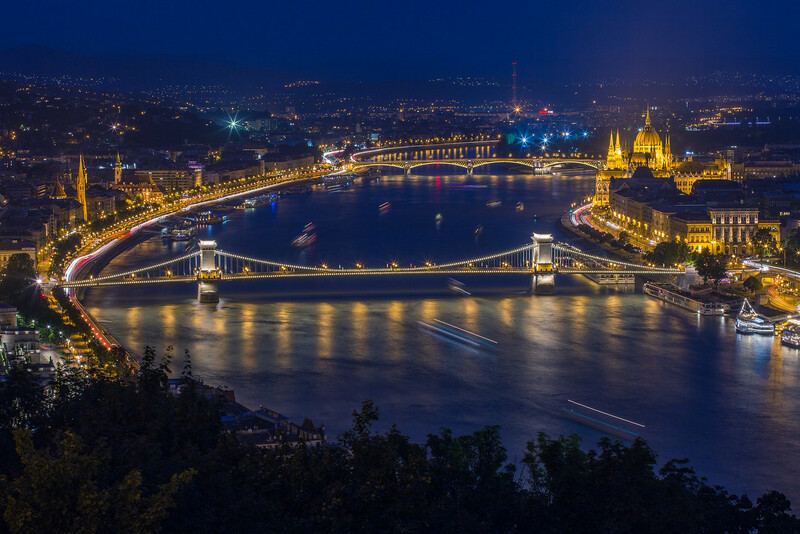 I'm Miklós Mayer, a nightscape and timelapse photographer based in Hungary. No spam or ads, promise.